For all the households using air conditioners, a major component of electricity bill is contributed by the air conditioners. If you are someone who is worried about high electricity bills due to air conditioners then buying energy efficient air conditioner makes much more sense to you. There are multiple types and brands of air conditioners available in the market today. Everyone wishes to be informed before making a buying decision of an air conditioner and wants to buy the best AC in India. People also want to decide if they should go for a split AC, inverter AC or a window AC. Most sources on the Internet provide details on features and reviews. Electricity consumption hardly becomes the deciding factor. To help people make electricity consumption as deciding factor, we at Bijli Bachao have decided to put up a list of best air conditioners in India in 2019 by electricity consumption and size. We have also listed the top AC brands in India below. These are considered as premium brands for Air Conditioners in India. Out of these Hitachi, Daikin, Mitsubishi and General are Japanese brands while Blue Star is an Indian brand. These brands are known for their refrigeration technology and thus offer quite robust products. Hitachi, Daikin and Blue Star also offer great energy efficient models and typically rank high in our top rankings (based on BEE data). Other brands that are really good include: LG AC, Samsung AC, Voltas AC, Godrej AC, Whirlpool AC, Carrier AC, Toshiba and Panasonic. This brand value mentioned over here is based on our perception of various brands available in India. Some people may have had good experience with other brands as well, but then their market presence is too small to make a judgement. If you are looking for reviews of various brands, you can check our AC brand review section over here: Link. Or you can click on the specific brand name mentioned above. The list of top efficient models below does not involve this perception and is purely based on ISEER data from Manufacturers & BEE (Bureau of Energy Efficiency) on energy efficiency (or electricity consumption). The list of best air conditioners does include our perception. Before choosing a brand, you must also ensure that the brand is present in your city/locality and is able to provide good service for your purchased product. First and foremost, before deciding on any AC, please do a calculation of the size (or tonnage) that you need before looking at the best models. You can use the calculator below on this page to do the calculation. The three most important things that people expect from an air conditioner are: 1) It should cool well 2) It should not consume a lot of electricity and 3) It should be durable. Out of these 3, the first depends on the cooling capacity or the tonnage of an air conditioner and if you have calculated the right tonnage as mentioned above and you have derived 1.5 ton as your cooling requirement then this particular AC from Carrier is a perfect fit if you are looking for the “Best” 1.5-ton Air Conditioner. Carrier is a premium american brand and this company was started by Willis Carrier who invented the concept of air conditioning. This AC has a cooling capacity of 5200 watts which is equal to 1.48 ton. This AC is a BEE 5 star rated air conditioner with ISEER of 4.62 and nominal power consumption of 1520 watts. But as this is an inverter tech air conditioner, it will vary its tonnage as well as power consumption based on the need of the room. It comes with 100% copper heat exchangers which make them quite durable. It comes with PM 2.5 filter, stabilizer free operation, auto cleanser to clean the indoor unit, auto timer for on/off. And the best thing about this AC is that with all things good, it does not cost a bomb. So, it is a good AC with high efficiency, durability and cooling and does not cost a lot. Pros: High energy efficiency at affordable price. PM 2.5 filter for air purification. Autocleaner for indoor unit. 100% Copper. Has Stabilizer free operation. Carrier is a Premium Brand. Cons: Noise levels are slightly on the higher side. Key Specs: Nominal Cooling Capacity: 5200 Watts, Nominal Power Consumption: 1520 watts, ISEER: 4.62, R32, 100% Copper, Annual Power Consumption: 871 units. If you want an inverter AC for your room to have better comfort or to save electricity, your usage is not very high, and you want a model that is not expensive, then the best model in the market come from a budget brand: Midea. It’s Santis Pro 3i model is a BEE 3 star rated model with nominal cooling capacity of 5400 watts (which is 1.54 tons), nominal power consumption of 1990 watts and ISEER of 3.75. The ISEER number is pretty good if your usage is moderate (less than 1600 hrs per year). But still the model is among the cheapest inverter ACs in the market. Midea is a pretty decent Chinese brand that makes ACs with 100% copper condenser. On top of it, Midea has partnered with Carrier in India and so the JV provides support on the products. This AC has Auto Cleaning feature along with refrigerant leakage detector, Follow Me (sensor to direct airflow to the user) and timer to set on/off timing of the AC. So if you are looking for a value for money buy, then this AC is a great choice. Pros: Good energy efficiency and cooling at a reasonable price. Auto Cleaning functionality. This AC also has refrigerant leakage detector. Comes with a rust guard for outdoor unit. Cons: Basic model which lacks high end features like air filters, sensors for performance optimization. Key Specs: Nominal Cooling Capacity: 5400 Watts, Nominal Power Consumption: 1990 watts, ISEER: 3.75, R410A, 100% Copper, Annual Power Consumption: 1069 units. Although in 2018 it is best to buy an inverter AC, but if you are still not convinced about it and want to go for a non-inverter (fixed speed) split AC, then Hitachi iConnect is a great buy. iConnect stands for internet connectivity and as the name says, it can be controlled via any internet device. But that is not the only strong point for this AC. This model has a cooling capacity of 5500 watts (which is 1.56 ton) and consumes 1485 watts for the same. Do not compare these numbers with inverter ACs because inverter ones can vary their tonnage and input power consumption depending on the need of the room, but this one will always run at a fixed capacity. The ISEER of this model is 3.7 (which can be used to compare across inverter and non inverter ACs). This model is a 100% copper model like any other Hitachi AC. It has a iSense technology which has sensor to optimize performance of the AC while people are sleeping in the room. This technology not only ensures sleeping comfort, it also saves electricity. It also has a stainless-steel filter which is more hygienic and prevents growth of bacteria and improves air quality. 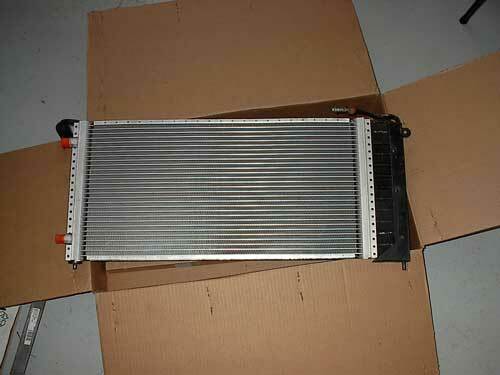 On the whole a great model if you are looking for a non inverter AC. Pros: Good energy efficiency at reasonable price. Good cooling capacity and durable. Can be controlled from anywhere using a smart phone. iSense can give good comfortable sleep at night. Cons: Hitachi models in general lack different kind of air filters. Auto Clean of filter is also missing in this model. Key Specs: Cooling Capacity: 5500 Watts, Power Consumption: 1485 watts, ISEER: 3.7, 100% Copper, Annual Power Consumption: 1150 units. Daikin is another premium brand which is known for making great air conditioners with high energy efficiency. And this year the model with highest energy efficiency in 1.5 ton ACs is Daikin FTKF50TV16U. This AC has nominal cooling capacity of 5280 watts and nominal power consumption of 1290 watts. The ISEER of this AC is 5.33 which is highest among all 1.5 ton ACs. This AC also boasts of a lot of features like: 100% copper, Stabilizer Free Operation (130-265V), Coanda Airflow (for better air circulation in the room and thus better cooling all across), Silent operation, Quick Cooling and sleep mode for better cooling at night. Being the most efficient AC in the market, it would be slightly expensive. But if your usage of AC is really high, then you must go for it. Pros: Super high energy efficiency. Coanda airflow helps in better all-round cooling. Sleep mode can help improve comfort level at night. Cons: Does not have too many air filters or features. Operating temperature of 50 degrees is slightly on the lower side in comparison to other brands. Key Specs: Nominal Cooling Capacity: 5280 Watts, Nominal Power Consumption: 1290 watts, ISEER: 5.33, R32, 100% Copper, Annual Power Consumption: 767 units. This 1 ton model from Carrier again comes out as the best in terms of performance and price. This AC has a cooling capacity of 3550 watts which is exactly 1 ton. This AC is a BEE 5 star rated air conditioner with ISEER of 4.62 and nominal power consumption of 995 watts. But as this is an inverter tech air conditioner, it will vary its tonnage as well as power consumption based on the need of the room. I comes with 100% copper heat exchangers which makes it quite durable. It has a high ambient operating temperature of 55 degrees and it also has a stabilizer free operation. And the best thing about this AC is that with all things good, it does not cost a bomb. 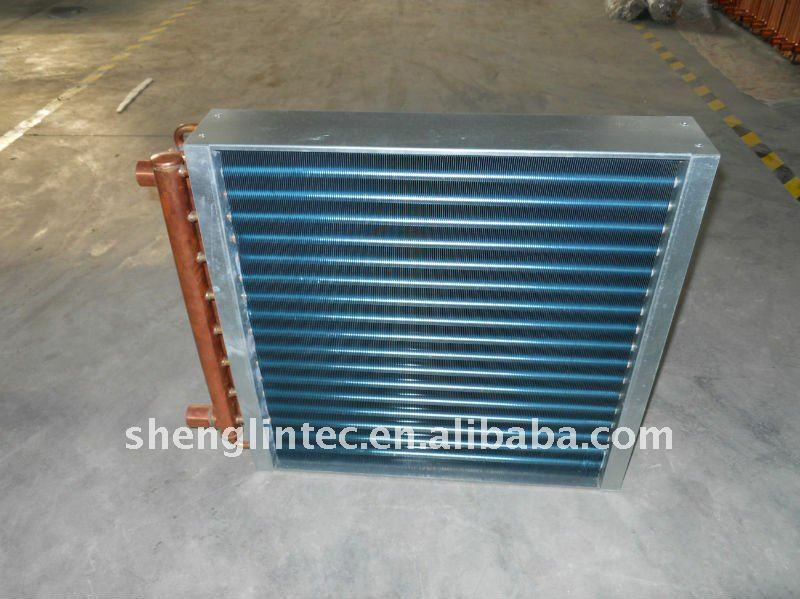 So, it is a good AC with high efficiency, durability and cooling and does not cost a lot. Pros: High energy efficiency at affordable price. 100% Copper. Has Stabilizer free operation. Cons: Does not have auto clean feature which would have been good. Does not have any filters as well. A basic model (not feature rich). Key Specs: Nominal Cooling Capacity: 3550 Watts, Nominal Power Consumption: 995 watts, ISEER: 4.62, R32, 100% Copper, Annual Power Consumption: 594 units. Midea Santis Pro 3i model is a BEE 3 star rated model with nominal cooling capacity of 3500 watts (which is 0.99 tons), nominal power consumption of 1180 watts and ISEER of 3.75. This model is among the cheapest inverter ACs in the market. Midea is a pretty decent Chinese brand that makes ACs with 100% copper condenser. On top of it, Midea has partnered with Carrier in India and so the JV provides support on the products. This AC has Auto Cleaning feature along with refrigerant leakage detector, Follow Me (sensor to direct airflow to the user) and timer to set on/off timing of the AC. So if you are looking for a value for money buy, then this AC is a great choice. Good energy efficiency and cooling at a reasonable price. Auto Cleaning functionality. This AC also has refrigerant leakage detector. Comes with a rust guard for outdoor unit. Key Specs: Nominal Cooling Capacity: 3500 Watts, Nominal Power Consumption: 1180 watts, ISEER: 3.75, R410A, 100% Copper, Annual Power Consumption: 722 units. Although in 2018 it is best to buy an inverter AC, but if you are still not convinced about it and want to go for a non-inverter (fixed speed) split AC, then Daikin FTL35TV16W1 is a great buy. This model has a cooling capacity of 3350 watts (or 0.95 tons) and power consumption of 918 watts. The ISEER of this model is 3.65 which is among the best in 1 ton non inverter Air Conditioners. This model also has a PM 2.5 filter for filtering out pollutants and this give good indoor air quality. The model has Coanda Airflow technology which helps in better coverage of cool air inside the room. It also has a sleep mode to increase the comfort level at night and thereby also decrease the electricity consumption. Power chill operating in the AC helps it cool the room faster. On the whole a good buy in case you are looking for a BEE 3 star non inverter AC for your room. Pros: Good energy efficiency. 100% Copper. PM 2.5 filter for pollution prevention. Coanda Airflow can help in getting good coverage across the room. Cons: Lacks advanced sensors and filters for optimization and indoor air quality. Key Specs: Cooling Capacity: 3350 Watts, Power Consumption: 918 watts, ISEER: 3.65, 100% Copper, Annual Power Consumption: 710 units. If you are looking for the model with highest ISEER in the market, then you need to look at Hitachi RSB512HBEAP (or Kashikoi 5100X+). This model has an ISEER of 6.1 which is the highest ever seen in Indian market. It has a rated cooling capacity of 3580 watts (or 1.02 ton) and power consumption of 741 watts. It has an annual electricity consumption (for 1600 hrs) of 455 units which would be very close to what your air cooler would consume for that much usage. And on top of this efficiency, this model boasts some of the latest technologies from Hitachi like Expandable Inverter Compressor (for performance optimization based on internal and external conditions) & Soft Dry Technology (keeps evaporator dry which reduces bad odour). This model also has a stabilizer free operation and is a 100% copper model. The model does not have a lot of features and thus is not very expensive too. Great buy if your usage of AC is quite high. Pros: Best in class energy efficiency. High Cooling capacity. Durable (100% Copper). Eco Friendly Refrigerant. Cons: Lack of sensors for performance optimization and also of filters for indoor air quality. Window ACs are the most neglected appliance as they have not been improved for years. We at Bijli Bachao usually do not recommend people to go for Window ACs as their technology is quite outdated in general. Most BEE 5 star window ACs are low in efficiency and are equal to BEE 2 or 1 star rated split ACs. They also do not have any of the advanced technologies like filters and sensors. 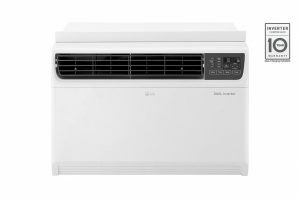 But if you still want to go for a window AC then you must look at LG JW-Q18WUZA which is the first Window AC with inverter technology compressor in India. It is like a revolution in a segment that has been lacking innovation. This model from LG has LG’s Dual Inverter Compressor technology which is quick in cooling and is super silent (something that we do not associate with window ACs). It has 100% copper with ocean black protection to protect the AC from corrosion. The AC is also Wi-Fi enabled and thus can be operated using a smart phone. The nominal cooling capacity of this AC is 5000 watts (or 1.42 tons) and ISEER is 3.5 (which is equivalent to an entry level BEE 3 star split AC). On the whole this is the best window AC in the market if you want to go for one. Pros: Inverter Compressor in a Window AC. Good efficiency. 100% copper with corrosion protection. Dual Inverter is quick in cooling and silent. Cons: Efficiency still low as compared to split ACs. Lacks air filters and sensors. Key Specs: Nominal Cooling Capacity: 5000 Watts, Nominal Power Consumption: 660~1950 watts, ISEER: 3.5, 100% Copper, Annual Power Consumption: 1106 units. For detailed lists, check below. Click on a category button below to choose category. The basis of this ranking is the data from Manufacturers & BEE (Bureau of Energy Efficiency) for the fixed speed and inverter technology air conditioners. BEE data contains ISEER, Annual Electricity Consumption (in units consumed for 1600 hrs of usage), cooling capacity and power consumption and this information is self reported by the manufacturers. The values are calculated under test conditions. To understand more about ISEER and BEE’s new star rating standards please check this link: link. We have taken the data on ISEER and categorized it by the marketing tonnage of the air conditioner. The air conditioner with the highest ISEER is given the highest ranking. Multiple models with the same value are given the same rank. It is important to note that knowing Cooling Capacity of an air conditioner is very important because for same tonnage the cooling capacity of various models vary. The higher the cooling capacity more heat an air conditioner can remove. It is also important to size an air conditioner for a room properly. An oversized air conditioner cannot remove humidity properly and undersized will keep running all the time increasing electricity consumption. So it is important to choose right cooling capacity. The list above contains only the top ten ranked air conditioners. We have not listed Window Air Conditioners because there are no energy efficient options available in Window Air Conditioners and it is better to go for Split Air Conditioners. We regularly update this list as new models get added in the BEE list of air conditioners. The data is as per BEE’s standards as applicable in 2018. As per current standards, BEE has started publishing annual electricity consumption data for air conditioners assuming usage to be 1600 hrs a year. Window Air Conditioners significantly lag behind in technology as compared to split air conditioners. Over the years manufacturers have significantly improved Split ACs that their energy efficiency has also improved much. As per latest star rating levels in 2018, most window AC models with BEE 5 star rating would just be equivalent to BEE 1 star rated Split AC. And we at Bijli Bachao do not recommend going for such an Air Conditioner. However, in 2018 LG and Voltas have introduced inverter technology compressor in window AC as well. Their new models LG JW-Q18WUZA and Voltas 185V DZA are window ACs with inverter technology compressor. They have efficiency similar to a BEE 3 star rated Split AC. So if you want to go for a window AC then our recommendation would be to go for such an air conditioner. Click on the questions below to check the answers. Our suggestions are mostly based on energy efficiency of the model and the top brands (as listed in FAQ 9). We do not recommend any specific brand because everyone has a different experience with a brand. Also the service levels of various brands differs at various locations (as stated in FAQ 10). In fact many people who visit review websites like mouthshut get negative reviews of almost every brand. The reason for the same is that it is practically impossible for any brand to satisfy each and every consumer. The best thing that we can suggest you is to look at the list of top brands above, choose the brand that you like (or get a good feedback on from local dealers), then select the most efficient model of your tonnage requirement from this list: http://bit.ly/OpE1JR. If you do not find that model in the market, then just go for the model with highest EER in your preferred brand and suggested star rating. If you want to learn about latest technologies in Air Conditioners in India then do check this link: here.